Chemical peels revive and refresh the skin. 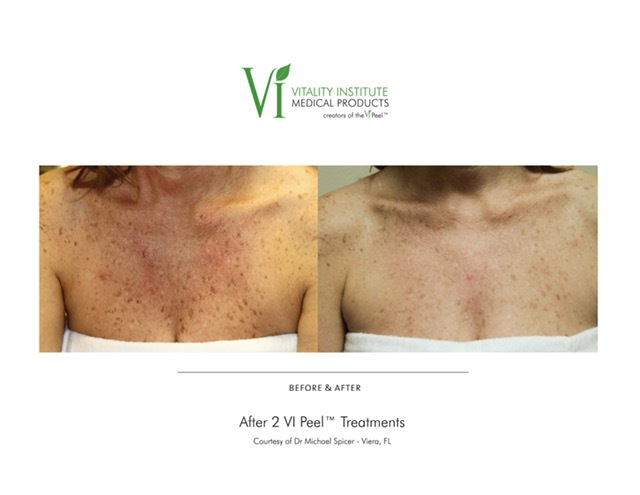 Special classes of liquids are applied to the skin for a few minutes and then quickly neutralized; VI Peels are left on and washed off at home. The result is mild to moderate exfoliation, removing dull, lifeless superficial layers of skin to reveal a glowing, fresher, smoother complexion. Peels can reduce the appearance of pores and fine lines, dry up acne, and reduce pigmentary imbalances. My skin is dull? Should I get a peel? Absolutely. Chemical Peels are the easiest and quickest way of livening up skin tone. I have acne. Should I get a peel? For some patients getting the acne under better control first is advisable. But minor acne will respond very well, as will old marks of acne and pigmentation issues. We also have special peels to treat acne. I’m starting to notice fine lines. Is a peel right for me? 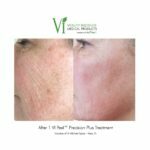 Chemical peels are a great first step. You may also want to consider our Clear + Brilliant Laser, a noticeable step up from a chemical peel, with virtually no downtime. 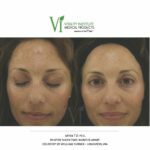 A Tribeca Skin Center Fusion Treatment, a favorite treatment for TSC patients, is a great combination of a peel and laser. Talk to your doctor for more information. My pores are noticeable. Is a peel right for me? Again, a peel is a great first step. 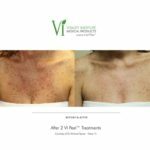 You may also want to consider our Infrared Glow treatment, a noticeable step up from a chemical peel, with virtually no downtime. I have dry skin. Is a chemical peel right for me? Sometimes dry skin is a result of a dead layer of skin called the stratum corneum. A peel can assist in removing this layer so your at-home moisturizer can work better. Your doctor can also help you pick the right moisturizer for post-peel care. What types of chemical peels do you offer at Tribeca Skin Center? Your Tribeca Skin Center dermatologist will customize the type and strength of your peel based on your age, your skin type, the season, and your past results. 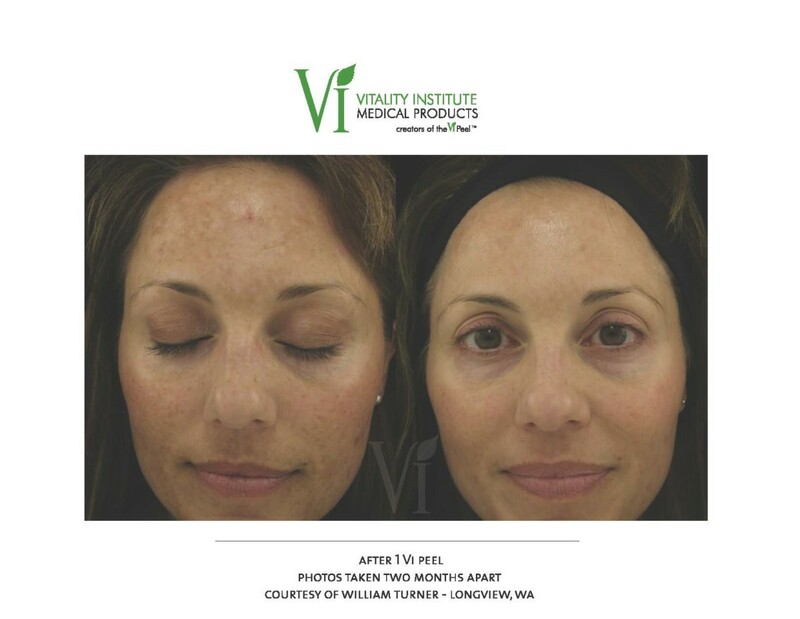 We offer Glycolic, Salicyclic Acid, Jessner’s, PCA Peels, TCA Peels, and VI Peels. It depends on the type of acid used, and layers applied. Some peels (we call them “lunchtime peels”) don’t cause any visible flaking or peeling; they just refine skin tone to create a glow. 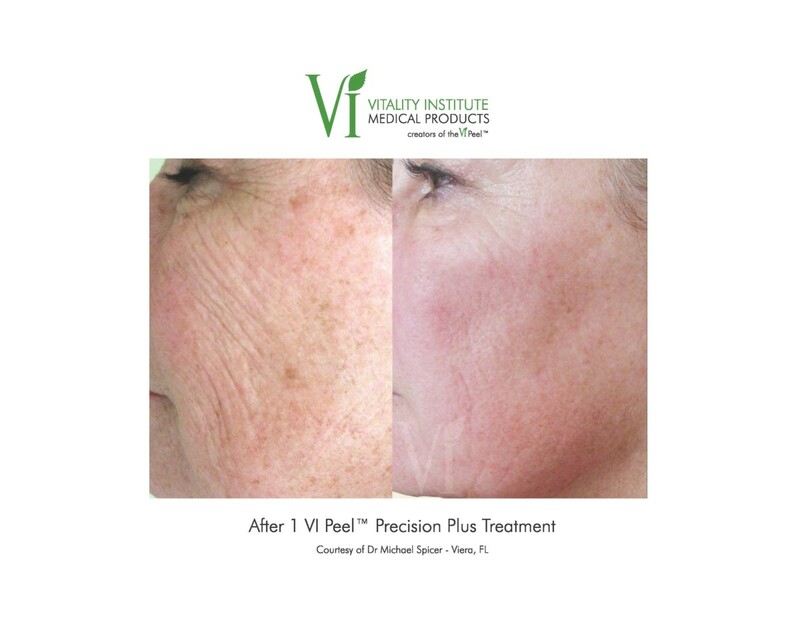 The VI Peel can cause three or more days of active exfoliation. What do I need to know before my first chemical peel? Discontinue use of any prescription creams, especially retinoid products, 2-5 days before and after these in-office treatments. And avoid active sun exposure 2-5 days after peel. If you are prepping for a big event (like a wedding) then coming in once a month for a few months might be a good idea. Otherwise, for general maintenance, we recommend 3-6 times per year. Maintenance peels promote a more youthful appearance over the years.